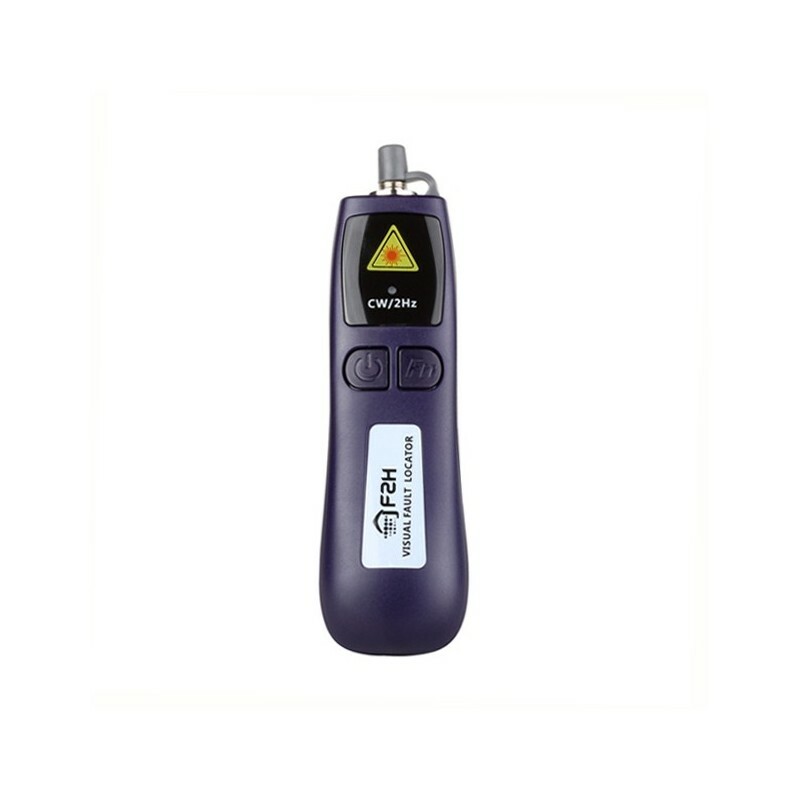 VLS-8 Series Mini Visual Laser Source totally complies with the human engineering. 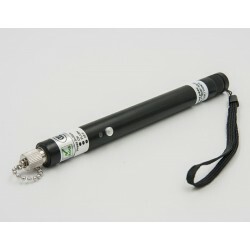 It's small in size, easy to operate, portable and integrated with a launching indicator. 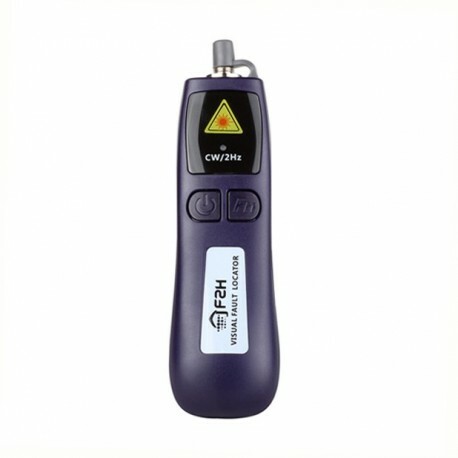 A Visual Laser Source is usually used to inspect the damaged or broken point of a optical fiber, cable, patchcord etc. If the inspected fiber does have a deffect, user could find the visual light at the broken or damaged point. VLS-8 Series Visual Laser Source is suitable for both single mode and multimode fibers. The performance of the visual laser source will act a little different on different fiber coat and color. VLS-8 Series Mini Visual Laser Source totally complies with the human engineering. 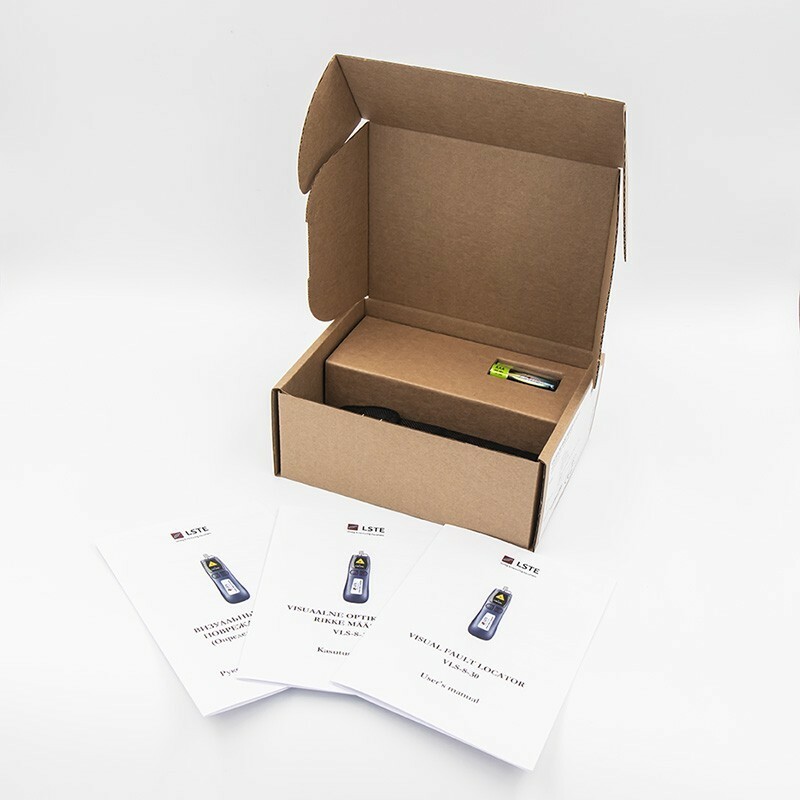 Itäs small in size, easy to operate, portable and integrated with a launching indicator. A Visual Laser Source is usually used to inspect the damaged or broken point of a optical fiber, cable, patchcord etc. If the inspected fiber does have a deffect, user could find the visual light at the broken or damaged point. VLS-8 Series Visual Laser Source is suitable for both single mode and multimode fibers. The performance of the visual laser source will act a little different on different fiber coat and color. Integrated with continuous wave and 2Hz modulated wave output function. 1. 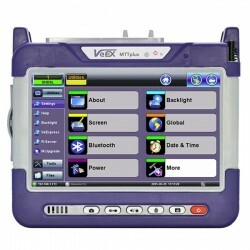 Visual Fault Locator VLS-8-30, 1 psc. 2. Carrying case, 1 psc. 3. Users manual in English, Estonian or Russian, 1 psc.